These self-spacing 1-1/2" and 2-1/2" templates ensure correct distance is maintained between characters with no measuring. Made of durable polymer material and for use with the SignCrafter and SignPro router guides. 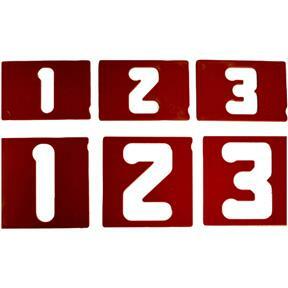 Includes 40 number templates, 2 each of 0-9 in the 1-1/2" and 2-1/2" sizes.